Are you desiring more balance, confidence, improved communication, or just wanting to get out of the rut? Animal-assisted coaching has shown evidenced-based efficacy in helping people get greater results in life. In light of research and observational findings, experts suggest that Equine Therapy a common form of animal-assisted therapy--may yield a variety of psychotherapeutic benefits. The attempt of this program is to help instill the following coping skills in veterans. The learning and mastery of a new skill --enhances confidence in the ability to tackle new projects and leads to improved self-esteem. 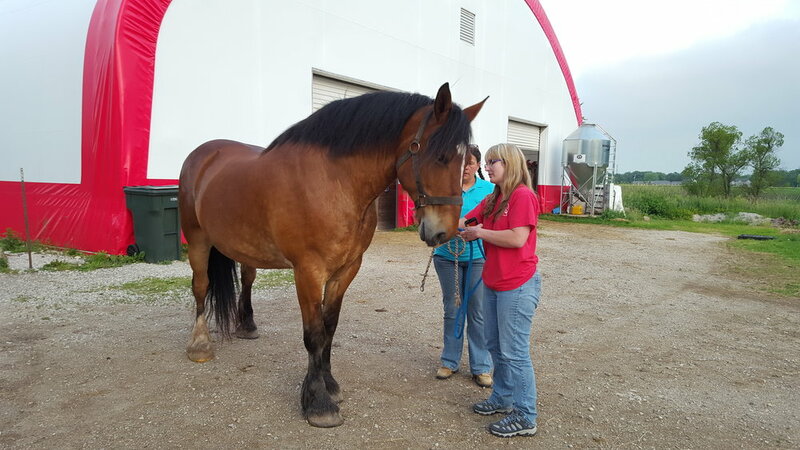 Learning to communicate with a large animal promotes renewed feelings of efficacy. Participants develop an "I can do it!" mind set. Riding helps patients to develop a more realistic view of themselves through awareness of their size in relation to the horse. This is especially important in treating patients with eating disorders as well as those with interpersonal aggression problems. Horses' sensitivity to non-verbal communication assists participants in developing greater awareness of emotions and non-verbal communication in relationships. Learning to trust an animal such as a horse also aides in the development, or restoration, of trust for those whose ability to trust has been impacted negatively. Shift perspective through activities that strengthen the focus muscle, so focus stays on the important things in life. Many studies of human-animal interaction indicate that contact with animals significantly reduces physiological anxiety levels. Some participants are initially afraid of horses. But horses' genuineness and affection allay these fears, helping participants to embrace exposure therapy for their anxiety issues. Sometimes there is worry about doing something embarrassing while learning about the horses. Yet participants quickly learn that the other participants are engaged in their own equine experiences, and observe the comfort of the horses in their own skin. Fear and worry decreases! Communicating effectively with a horse requires the participant to demonstrate assertiveness, direction, and initiative – all important skills life. Identify and strengthen boundaries to de-clutter relationships with self and others in life. The playful aspects of Equine Assisted Life Coaching and team equine activities can help restore spontaneity and ability for healthy recreation and play while increasing creativity. Get your FREE consultation to see if Equine Assisted Life Coaching is right for you!